We are glad to report that three teams have visited Haiti in recent weeks doing construction projects and serving in the Medical Clinic. John Bruns led a team from Georgetown, Indiana, the week of March 12. They worked on various construction projects at the Repatriate campus. The Syria Church also did construction the week of March 22. Nikita Lindsay led a medical team the week of March 22, serving the Cite Soleil community. 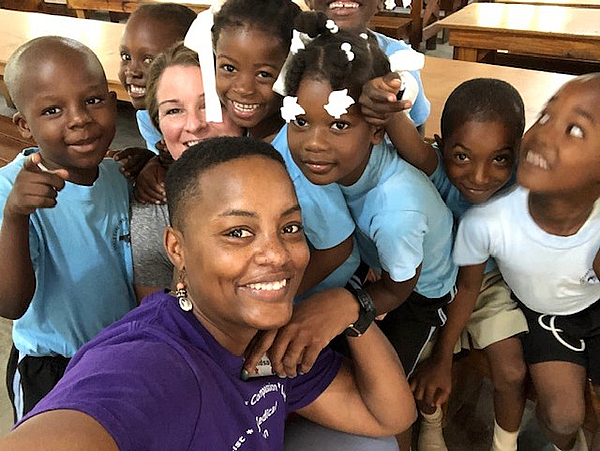 During the week Nikita reported, “We are having a great week in Haiti.” Her team did completed physicals on first graders at the Cite Soleil school, and saw many other patients in the clinic. We are grateful for the meaningful work done by each team.